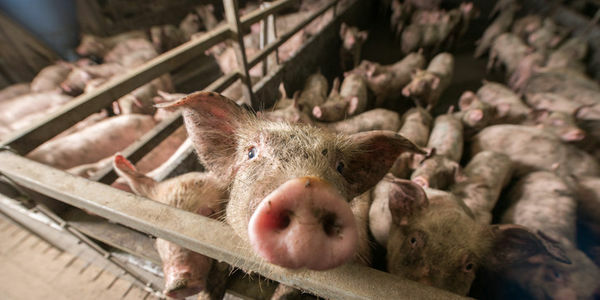 petition: Smithfield Foods: Cut The Crap! Smithfield Foods: Cut The Crap! For some residents in rural North Carolina, going outside brings them no closer to a breath of fresh air. That’s because the notorious pig farms that surround their neighborhoods are poisoning their environment and even staining their houses with pig urine and feces. Factory pigs produce billions of gallons of waste that consist of “pig feces, urine, blood, rotting body parts, and dead piglets” this waste is then collected in enormous football-field-sized pools. Farmers quickly learned that the pools filled up so quickly that they had to figure out a way to drain them so that more pig and refuse could flow in. Their answer? Use the pig gunk as fertilizer and spray it into nearby crop fields. But winds in the area can change quickly bringing a disgusting mist of pig excrement and more raining down upon the neighboring communities. The majority of these communities are poor, African-American and powerless to stop this egregious example of environmental racism. What’s worse, NC Assembly recently overruled a bill that would have allowed the residents to sue these farms for remedy. Smithfield Foods, one of the major purchasers of these pigs is directly responsible for allowing this disgusting practice to continue. They have the power to demand that their suppliers find other ways to dispose of their pig gunk and that is exactly what they should do. The affected communities have just as much right to breath clean air and enjoy the great outdoors as anyone else. Let’s tell Smithfield to cut the crap by demanding that their farmers stop spraying poor communities with the pig poo that makes them millions. Your mission statement in part says … "Our business depends on the humane treatment of animals, stewardship of the environment, producing safe and high-quality food, the vitality of local communities, and creating a fair, ethical, and rewarding work environment for our people." I don't believe your are completing your mission by allowing your suppliers to continue to dump their pig waste onto their poor North Carolina neighbors. In fact you are participating in a horrible display of environmental racism. It is time you demand your suppliers end this horrible practice.